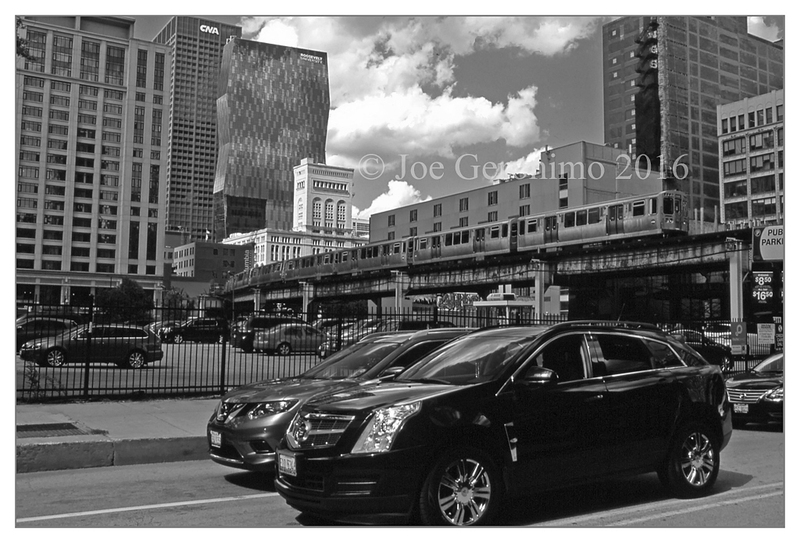 I made my first visit to the Windy City back in July. My wife and sons have already spent time here before so this was unchartered territory for me. 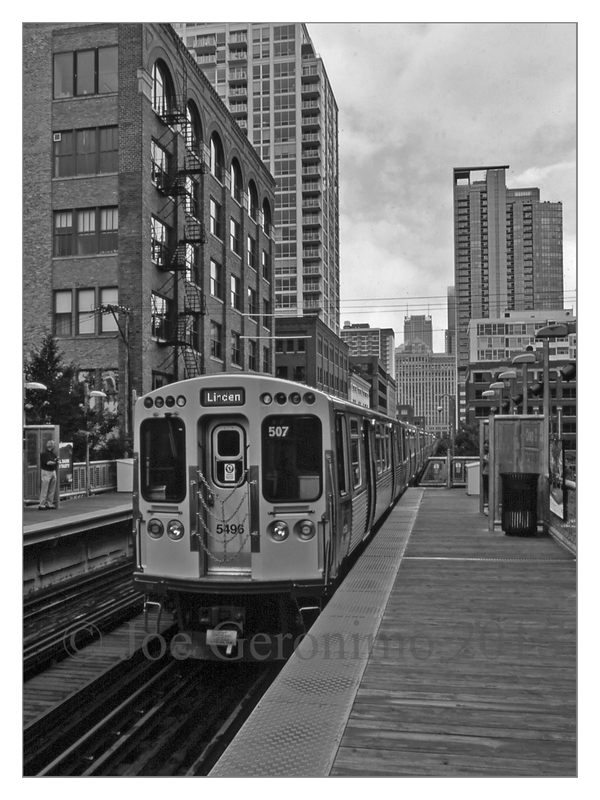 We were staying with family in one of the suburbs of Chicago and rode the Metra into the city the several days we were there. We navigated the city by either walking or riding the subway which is affectionately knows as the “L”. 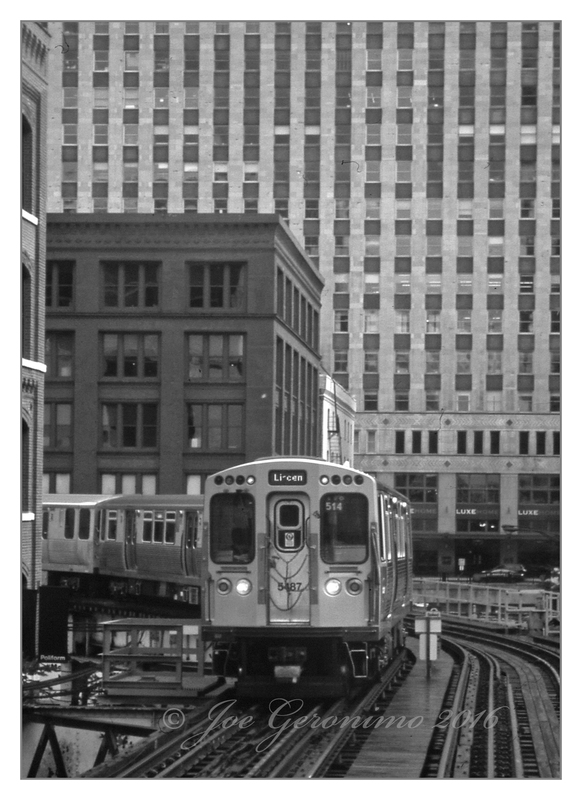 Riding the “L” opened up a whole new perspective on photography for me. I instantly fell in love with the intricate infrastructure cramped between towering buildings, parking garages and everyday life below. The photographic possibilities are endless and all you need is time. Prior to my arrival in Chicago I had done absolutely no research on this gem so I was totally in the dark as to the “Prime” locations in which to photograph. The day I made the most of my images started off bright and sunny with weather conditions crumbling like an old building as the day progressed. I believe I have created several images that convey mood, as most of these were grab shots. 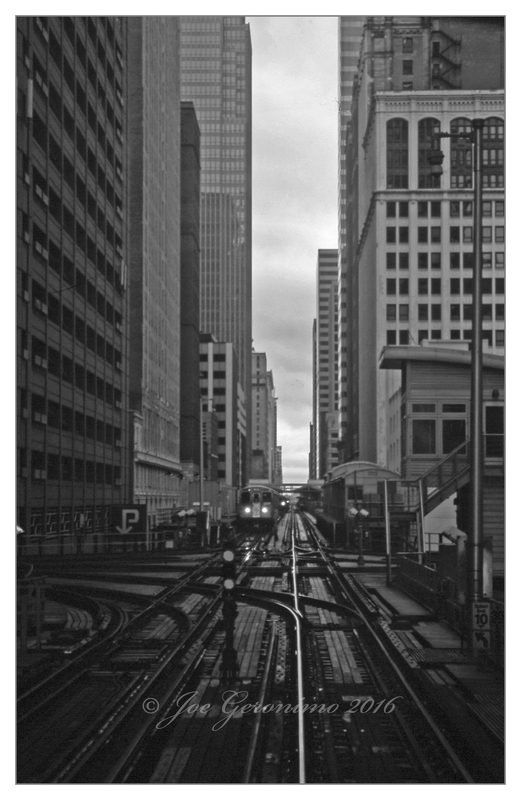 I particularly like the ones where I was shooting out the front window as we rode the “L”. 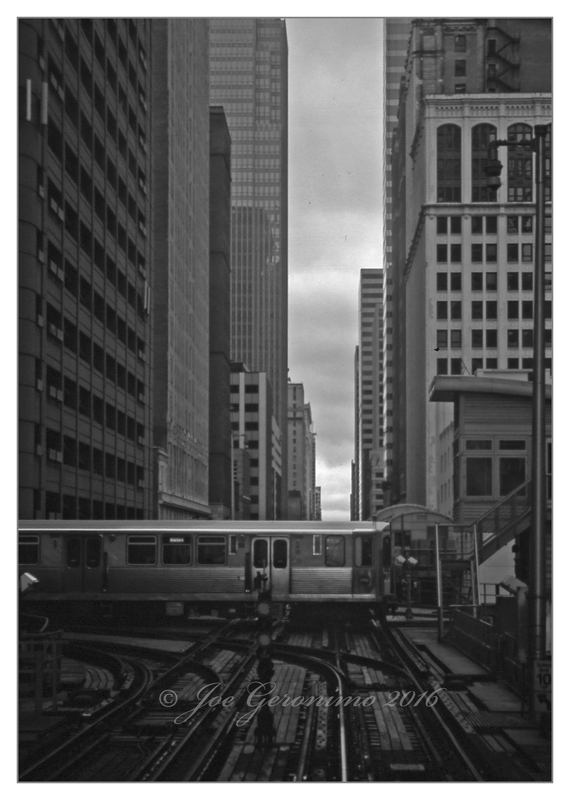 I shot color slide film but really liked them even more converted to black & white. The other day I had mentioned to my wife how we need to return so I can spend a good 3-4 days photographing the “L” now that I have done my research. 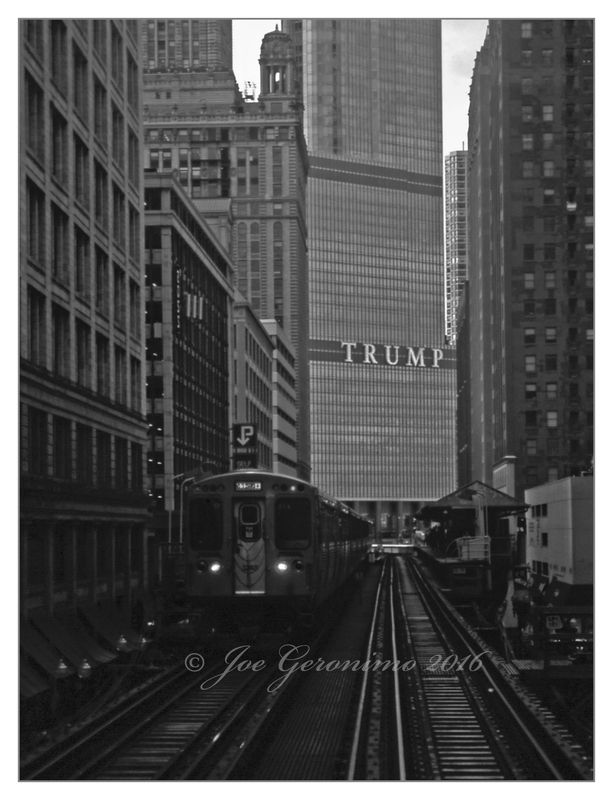 The Chicago “L” July 15th 2016. Agfa CT Precisa Slide Film, © Joe Geronimo. 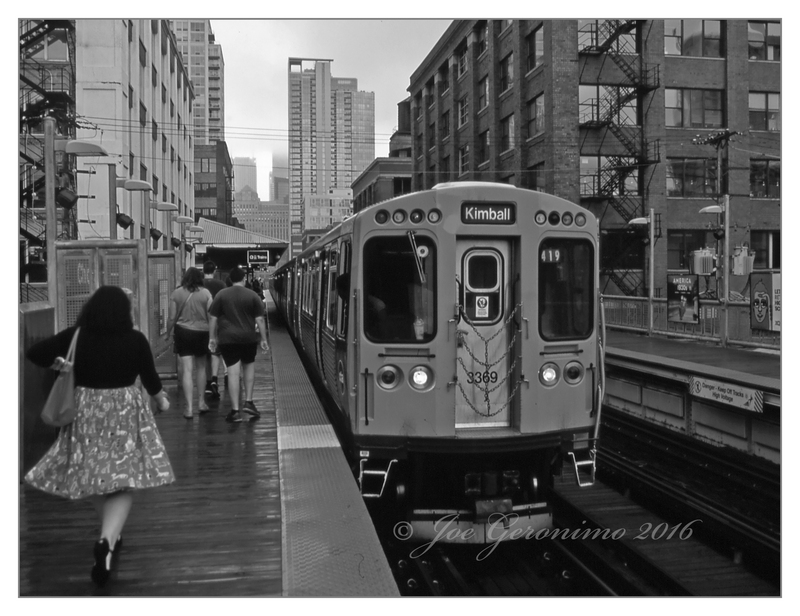 The Chicago “L” at Lake & Wells July 15th 2016. Agfa CT Precisa 100 Slide Film, © Joe Geronimo. I would later discover that this is one of the most photographed sections due to its intricate design and track work here. I recently bid on a 1982 Kodachrome from this location and lost as it sold for $41.00.